“Do you suffer from unsightly whiteheads, zits, pimples, and acne?” the advertisement asks. “Do you worry about uneven skin tone, blemishes, and even blackheads? You are about to learn how to feel better, look better, and get rid of acne for good—in as little as three days!” It sounds too good to be true. There is no overnight miracle cure for acne, but typically the least expensive products get the fastest results. 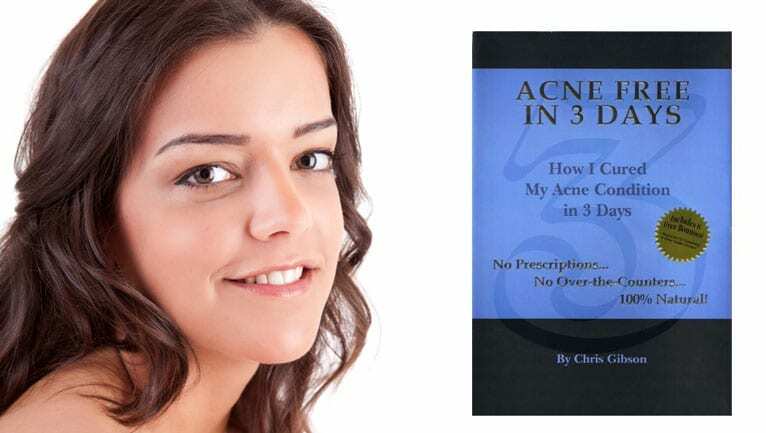 The Chris Gibson ebook Acne-Free in Three Days is both praised and panned, by people who market the book and by people who don’t. This article won’t tell you whether that system works. Acne is a serious condition and we’re here to help solve this common skin problem. We don’t review fantasy literature. This article will, however, tell you what you can expect in just three days from the best modern acne treatments. Do yourself a favor and read this guide to the most effective methods, medical, diet, holistic, and otherwise, to get rid of acne fast. We can’t promise a cure, but we will show you programs that get you clear. The least expensive products typically get the fastest results. Blue light’s effects are almost instantaneous, and limited. The primary short-term effects of the “wonder drugs” for severe acne are drying, stinging, itching, swelling, and sensitivity to sunlight. Especially if you are using an acne treatment kit, a more reasonable expectation is to get good results in 30 days. Foaming benzoyl peroxide creams and gels get into pores and kill acne bacteria, in as little as two days. They stop the growth of the irritant microorganisms, but they do not resolve irritation. Your skin has to circulate these chemicals out of the pimples, usually over about two weeks. Tea tree oil kills the bacteria more slowly, but gets the red out fast, typically in four or five days, not three. Benzoyl peroxide is only good for pimples. It does not do anything for preexisting whiteheads or blackheads. Nor will tea tree oil. Nearly all of us give ourselves a splash in the face after cleansing. A facial water is a mineral spring water used to splash the face with naturally occurring minerals. Most mineral waters are rich in magnesium, which reduces the appearance of redness, selenium, which slows down inflammatory processes, and/or sulfur, which fights bacterial infection. A facial water is applied to the face after cleansing and before applying moisturizer or makeup. The effects of facial waters are visible the same day you use them. They may not make a big difference in your skin’s appearance, but any benefit from them only takes a few minutes and lasts about a day. Many acne sufferers try to use brute force to get rid of blackheads. This is always a bad idea. When someone uses a sterilized needle to “dig around” for a blackhead, usually the blackhead stays in place while the surrounding skin is bruised. Scar tissue may form that seals the blackhead underneath the skin where no cleansing routine will have any effect on it. There is, however, a way to get rid of blackheads in about three days. Apply a warm, moist, clean cloth to the blackhead and hold it in place about 10 minutes, longer if you can. Then pat the skin dry with a clean towel and apply an alpha-hydroxy acid exfoliant, such as DDF Glycolic Oil Control Gel or the slightly pricier Peter Thomas Roth Glycolic Acid 3% Facial Wash. Then wait. Chances are that in a day or two the blackhead will simply have disappeared, as long you do not try to force it out. Certain wavelengths of visible blue light energize a chemical called porphyrin, a component of the protective membrane that surrounds acne bacteria. When porphyrin is activated by intense blue light, the membrane breaks down, and the bacterium dies. Of course, we are exposed to low-intensity blue light all the time. This effect is the reason that people with acne used to be advised to “let the sun dry out” their acne. Drying out the skin, however, had nothing to do with the process of killing acne bacteria. The benefit of sun was the destruction of bacteria. Blue light treatment units are used in dermatologist offices, and they are also available for home use. The benefit of blue light is that it does not penetrate the skin deep enough to cause any damage. It only penetrates deep enough to kill the bacteria in pores. Destruction of the acne-causing infection takes minutes, but blue light does nothing to get hard, packed oily sebum out of clogged pores. Chemical peels use a stronger concentration of the same alpha-hydroxy acids used in exfoliants. The idea behind the use of a peel is to break down the outermost layers of skin, including clogged pores, in the expectation that new skin will grow back blemish-free. The drawback to chemical peels—which you should never try to do at home—is that they sting and burn. Glycolic acid (alpha-hydroxy acid) peels are primarily useful for removing blackheads and whiteheads, while salicylic acid (beta-hydroxy acid) peels are more useful for treating pimples. During the first week after treatment, the number of zits and pimples is visibly reduced, but the skin looks as if it had been sunburned. Topical antibiotics are great for getting rid of oozing, pus-filled pimples with a yellow cone in the middle, which actually are not acne. They are not as effective for treating pimples, usually taking at least a week to get any visible results, and they will have no effect at all on existing whiteheads or blackheads. If you are allergic to the antibiotic, you may develop a rash that may be more noticeable than acne you are trying to treat. Accutane, Retin-A, Adapalene, and Tazarac are drugs in a class known as the topical retinoids. Although they are most effective for cystic or nodular acne that otherwise would have to be treated with surgery, they are also often prescribed for mild to moderate acne. Derived from vitamin A, these medications stimulate growth in the skin that is so rapid that it literally opens up over deep-seated infections. Over the course of just three days, or even three weeks, these drugs are not likely to have any noticeable effect, except increased sensitivity to sun. Usually the best approach to treating acne is to get all of your products from a single vendor. There is less trial and error, and you don’t have to spend time searching for multiple products that may or may not work. But if you plunk down your credit card to order a system, for instance, like Exposed Acne Care, should you expect results in 3 days or less? There are reasons manufacturers give their products 30-day guarantees, not 3-day guarantees. It usually takes 3 or 4 weeks both to stop the formation of new blemishes and to get rid of old ones. Three days is not a reasonable trial period for an acne treatment kit. But you definitely should see good results in 30 or demand your money back.